 Cutec offers a comprehensive range of services for your business in this ever-changing Information Technology market. Our specialist support package for businesses enables us to ensure that our clients' technology is operational. With companies requiring a consistent ongoing level of assistance to maintain IT systems, we provide staff with support when hardware or software goes wrong, installing updates and making the appropriate changes when your business requires it. We offer three levels of service from a fixed monthly fee to pay as you go. We can assume responsibility for your IT, provide support within guaranteed call out times and keep your business online. Here at Cutec we understand that businesses need and deserve an all-round better service and package from a broadband provider. Cutec has a great range of managed broadband products backed by one of the UK's best provider's but supported by a local company with local people. Although some organisations still use portable hard disks to backup their data, the switch to cloud backup is gathering pace on a daily basis. Cloud backup is fully automated and scalable, and removes the time constraints, licensing fees and labour intensive processes associated with onsite backups. Most importantly, your data will be protected off-site in Microsoft data centres based in the south of the UK, where it will be available for restore 24 hours a day. Because we provide 'best fit' bespoke solutions instead of 'off-the-shelf' compromises, we will analyse your needs then design and implement our online backup services in the most appropriate way. Office 365 packages give you access to the latest cloud services in order to help your business grow whilst keep costs to a minimum. With the most popular Business Premium package each user in your company gets a feature rich email service, 1tB of cloud storage, Skype for Business, Sharepoint and the latest Office applications for 5 devices. Unlike purchasing from Microsoft direct we offer monthly contracts with the ability to pay by direct debit and the service is supported by our local team in Plymouth. Cutec offers a complete range of business solutions to fit any budget. Contact us today for your FREE no obligation business review and let us show you how we can help your business get the very best from technology.